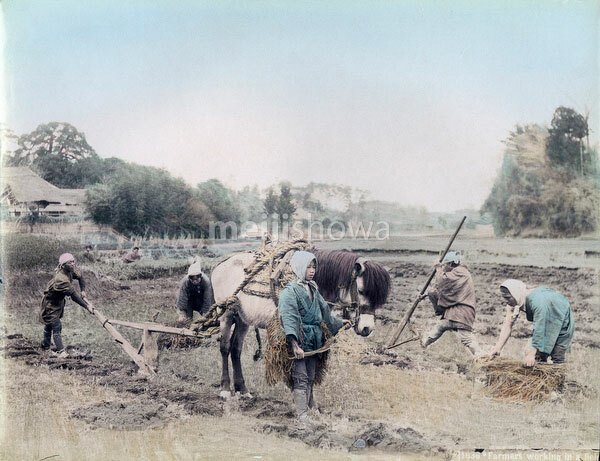 Farmers working a field. A young boy is leading the horse used for plowing the field. In the back, farms with thatched roofs (warabuki) can be seen.